"Growing and Learning together with Christ"
These are our Catholic Life Ambassadors for 2018-19. 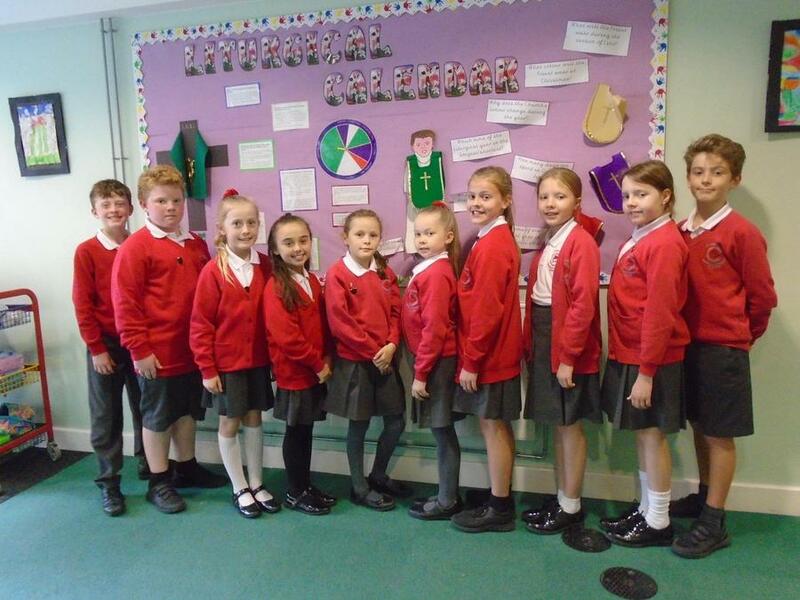 Their duties consist of: creating and updating displays around the school, reading bible stories to younger pupils, leading Collective Worships in the lower year groups, leading assemblies, completing prayer table audits, encouraging all pupils, staff and families to be aware of current events and charitable causes that we may be involved in. They will also participate and help organise school masses and liturgies and converse with our local priests to plan special events. Please use the links below to see some of the ways we celebrate our faith.